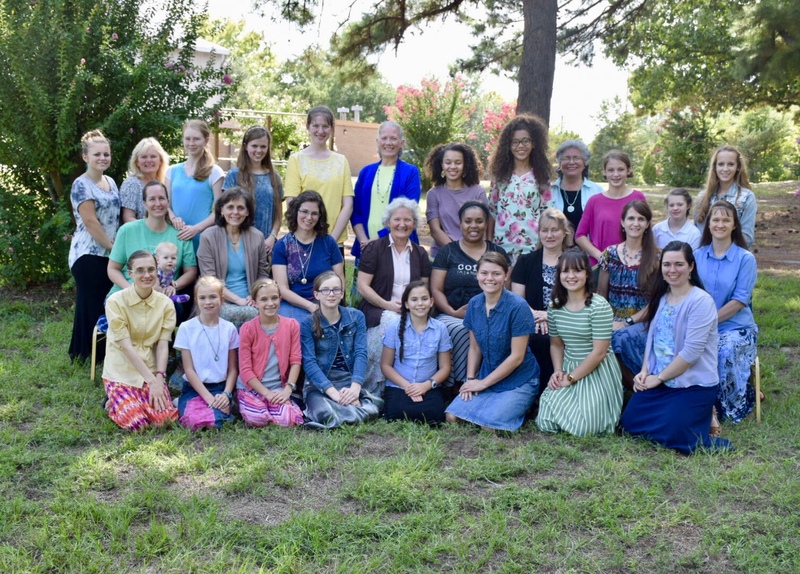 “Daughters of the King,” from Psalm 45, was the theme of the 2018 COMMIT Conference for mothers and daughters, held recently in Big Sandy, Texas. Twenty-eight ladies traveled from various points around the country to meet for a time of encouragement and fellowship. From the opening session to the final “good-byes,” the conference was a wonderful time of spiritual refreshment. The COMMIT Conference’s first session began with Mrs. Jenna Dee Martin and her adult daughters, Taryn and Mirren, sharing what it means to be a “daughter of the King.” The three ladies reminded the group of the need for salvation and the resulting riches in Christ that are available to believers. The Martins also spoke about Biblical principles that apply to how women use their time, especially in light of the technology present in our world today. Their final session looked at what is Biblical friendship. Sisters Taryn and Mirren were popular with the young ladies, and Mrs. Martin’s wealth of wisdom was appreciated by the mothers. Other sessions included Bethany Vanderford’s discussion about what a princess is supposed to do; Corrie Pendergast spoke on how being a daughter of the King affects one’s daily life; another staff mom among others shared some ideas on how to have a personal relationship with the King. Each speaker evidenced being a radiant daughter of the King as she shared from her own personal experience with the Lord. The mothers and daughters had sessions throughout the day, interspersed with time for one-on-one, mother-daughter discussions. Several mothers commented that the discussion times they had with their daughters were some of the most impactful times of the COMMIT Conference for them. « Character Training for Teachers Accredited in Romania!